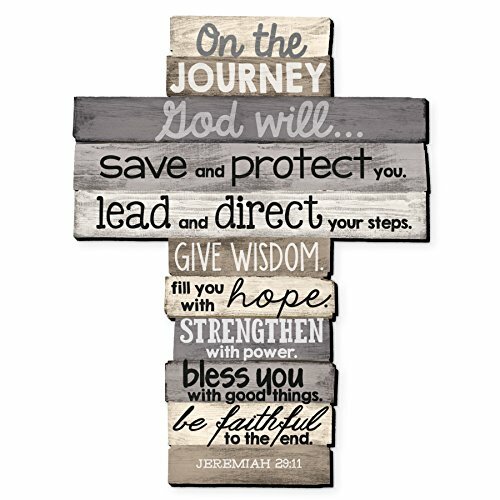 The journey wall cross features a printed title and Scripture. Consists of mounted paper on laser cut MDF. Wall-hanger included. Also included is a "power of the cross" booklet.